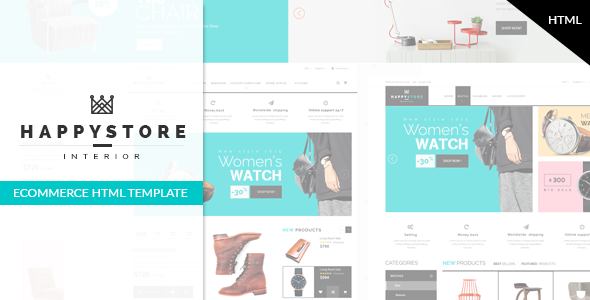 HappyStore – Furniture & Interior Bootstrap Template is a clean and elegant design – suitable for selling electronics, clothing, flower, cookery, accessories, fashion, high fashion, men fashion, women fashion, accessories, digital, kids, watches, jewelries, shoes, kids, furniture, sports….. It has a fully responsive width adjusts automatically to any screen size or resolution. We have included 4 defined layouts for home page to give you best selections in customization. You can mix between all home page layouts to get a different layout for your own website. Home page is designed eye-catching with large slideshow above and below Mega Menu. Slideshow is great with smooth transitions of texts and nice images.